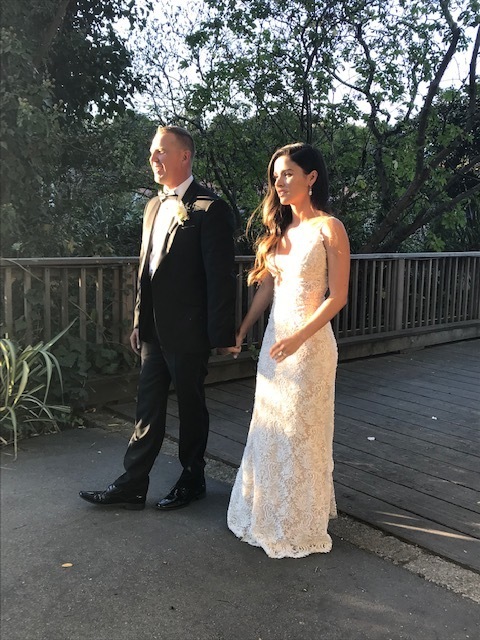 Chanelle & Brad’s October 6th wedding at Rancho Soquel was a show stopper! From the stunning couple, to the amazing lighting and the ceremony arch, everything was absolutely beautiful! The bride looked beyond incredible! Her joy radiated throughout the event and her groom couldn’t have looked more handsome! The newlyweds and their guests ate, danced and partied by the barn under the stars!